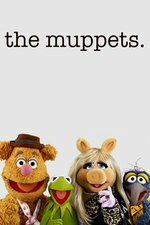 Here is a Muppet News Flash! FLASH!! The Swedish Chef is MARRIED and has been for years! If we do not get to meet Mrs. Chef (did they mention his name in the karaoke bar episode?) before the end of this season I will be NOT AT ALL HAPPY ABOUT IT! What I want to know is if the swedish chef always had human hands. This was not the strongest episode, but the musical number at the end made up for it (also Pepe and Rizzo pitching the Bachelorette skit). Chef's St. Lucia headdress was particularly good. And yes, the Swedish Chef has always had human hands. Now if anyone needs me, I'll be spending my Christmas break in the country. I hope that the retool keeps Scooters stories about his mother's boyfriend, Ken. Yes, he did. In order for him to be able to handle all the kitchen items in the sketches, the fabric puppet hands were not articulate enough. It was... ok. loved how they decided to do a muscle suit for Pepe. I think the reboot could do well from picking up cues from about the good half and forget the bad. This certainly isn't the trainwreck some are making it up to be, but it does need some cleaning up. One thing I've noticed is that post-Jenna Maroney, Piggy's storylines look tired. Her best bits were when she was pissed something happen to her, and Deadly had to helplessly accommodate her (like the bit where steam ruined her dresses. THIS IS ON YOUR HEAD, BOY). > What I want to know is if the swedish chef always had human hands. > Yes, he did. In order for him to be able to handle all the kitchen items in the sketches, the fabric puppet hands were not articulate enough. I surmise the only difference is now with HD, you can clearly see how human the hands are, compared to the (now clearly) fuzzy cloth muppet head. Low resolution can help smooth over some of this uncanny valley stuff. I have a sinking feeling that some Disney/ABC exec's notes on the retool are going to be something like, "We think our viewers want to see more about the Muppets' personal lives outside of the show, and less performance/backstage hi-jinks." Note to Disney/ABC- this is the spirit in which you should approach any Muppet property. Rowlf serves Buffalo Trace bourbon. I knew I liked that dog for a reason! If there isn't a Tom Waits/Rowlf duet at some point during this new series, I'm going to be seriously upset! Come on, Muppets! I've been waiting for this for decades! "what is the most powerful piece on the board? the prawn"
I think I ruptured something. Still giggling. have I mentioned I think Pepe and Rizzo are the two best things this format had to offer? At the very least give us Rowlf's version of Frank's Wild Years.